It's easy to get started with the Google Web Toolkit and Ubuntu 9.04. There are a couple of steps you will want to take to ensure a proper setup. First let me start by mentioning that the easiest way to do this is to use Eclipse. Eclipse is a full-featured Java IDE. Many complain that it is too slow, crashes, etc. Since Google developed a plugin for Eclipse and most likely their software engineers are using it, I think it would be best to use it as well. Now on to the actual steps. Don't use synaptic to install Eclipse. If you already have it installed through synaptic that's okay, but you will have two versions of Eclipse on your computer. Download the latest copy of Eclipse at http://www.eclipse.org/downloads. Don't worry about all the different versions. Just download the Eclipse Classic at the bottom of the list. Extract to a directory on your hard drive. I happen to put all of my programs that I install manually in a folder, /home/username/Software. This helps me keep track of all my programs I've installed manually. You should be able to start Eclipse either through the command line (after you change to the directory) or by double-clicking eclipse inside of the folder. Start Eclipse if you haven't already. Check the boxes labeled Plugin and SDKs. Follow through the wizard. You will have to agree to the license. Once you finish with that window you will want to restart Eclipse. After that you can begin working with GWT in Ubuntu. This worked for me on 32bit and 64bit Ubuntu. 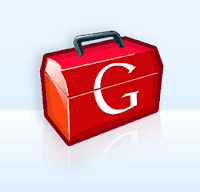 Hopefully you will be able to start building your Google Web Toolkit applications in Ubuntu.